By the time this posts it will have been a couple of weeks, but I'm sitting down to type it the day it happened so I can remember all the details. 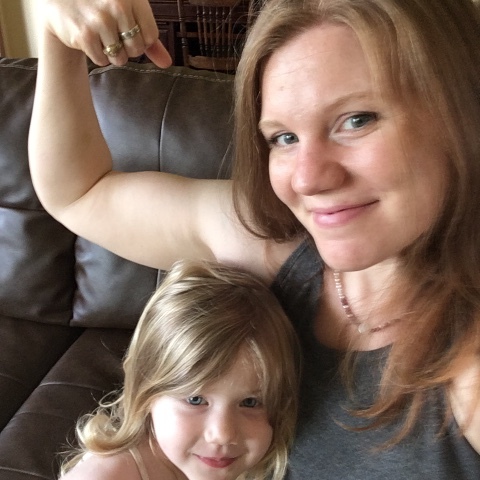 If you've read much of my blog, you know that I have two young children. You also know that I workout 5-6 days a week, and that I usually do it in the wee hours of the morning before the girls get up. 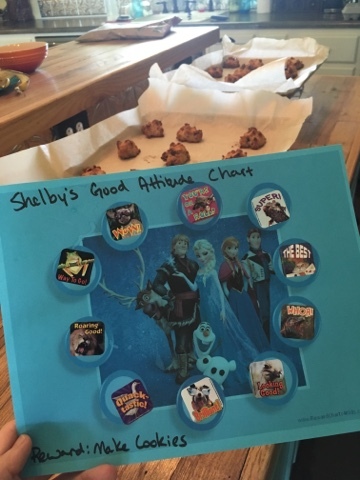 The first issue came when Shelby reminded me I had told her I owe her a sticker for her chart (she's been on a "good attitude" chart and it was her last sticker). Before I could even get the stickers out she was asking for a movie. Uh oh. You see, we only have one television. I have no plans to change that no matter how irritating it becomes. But my plan to work out after they got up, but still in the morning, was starting to look rocky. I needed to get that workout in so I could shower and get gussied up for Daddy's return! And I owed Shelby a cookie baking session ... that wasn't going to happen if I had to wait to workout till they had watched a movie. So we began the morning with tears. Eventually she was playing happily. Victoria, however, wanted to sit on the couch and watch. Awesome! Except that she really wanted to watch Autumn Calabrese, not Mommy. And Mommy was in her way. So I had to workout behind the couch - no biggie. As I got warmed up I turned on the fan ... another big nope. I was making Tori cold. Ok, that's fine ... Mommy isn't afraid to sweat over here behind the couch. One plus was that I didn't turn the music off like I usually do, and just having had my Shakeology made with coffee instead of water ... I was dancing around between sets. Being excited to get Tim back probably contributed too. All in all, after everyone was placated, my workout went very well. Shelby was exuberant when I told her they could watch a movie while I took my shower, then we'd make the cookies I had promised. So off I go to take an extra-clean shower ... with Daddy coming home I was pulling out all the stops ... shaving my legs, washing and drying my hair ... these things are a big deal when you have two children under 4. 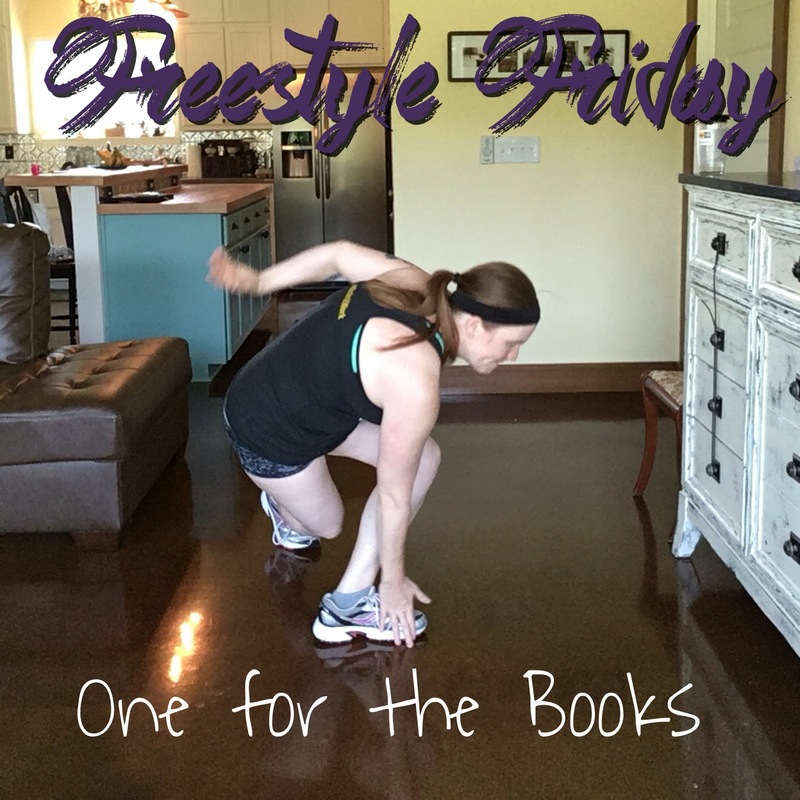 The girls sat down to watch "Home" with little Corelle bowls of cereal and I bopped off to un-sweat-ify myself. My shower is going fine, I've got my hair up slathered with conditioner ... kinda letting it do a deep-treatment thing. I've shaved one leg with a brand new blade, ran out of shaving gel, but thankfully had another bottle waiting in the cabinet. Then I hear them calling my name and banging on the door (what? I lock it if I'm in the shower ... there are things in there they don't need to be getting into). Shelby: "Mommy there is a PROBLEM!" Shelby: "Maybe I don't think so probably not." Mommy: "Is anyone bleeding or unconscious or crying?" Shelby: "Nooooo ... but it's BROKEN." Well, that's enough to get Mommy out of the shower in a hurry. I grab my towel and stop worrying about what wet feet do to the concrete floor. I open the door and find Tori standing in the middle of a minefield mess of broken Corelle. 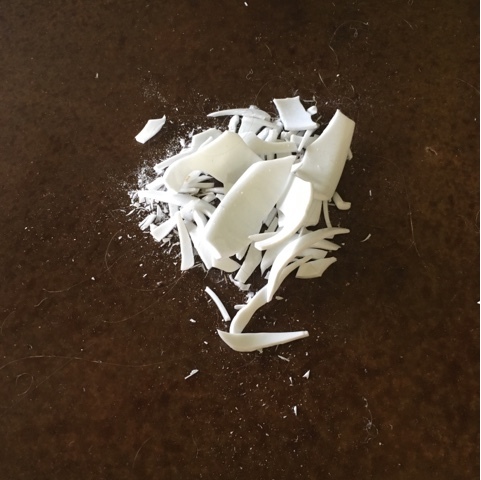 The thing about Corelle is, the kids can use "real" plates and bowls that are harder to break. I KNOW they aren't unbreakable. I know that. I only gave them those bowls so they could each have their own little identical kingdom of cereal to eat without fighting. 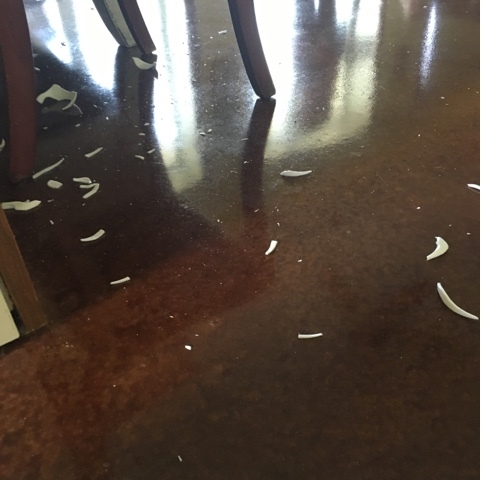 But apparently when Corelle DOES break, it shatters into a million jagged pieces and a dusting of fine powder. So I scoop up a protesting two-year-old so she doesn't lacerate her precious little feet and plop her on the couch. Wrapped precariously in my towel, wet and cold, with my one smooth leg and conditioner oozing down my back I proceed to clean up the razor-strewn floor. Eventually I managed to get ready for the day and even to show my hubby I'm excited that he is home (and not just for reinforcements or as a sleep aid). We managed a batch of cookies (though they were clean-eating/paleo/gluten free and the only thing Shelby liked about them was the chocolate chips). But now I remember why I usually try to get in a workout and get showered before the little minions are up.